I am finally back and am happy to post about our new Challenge at IDIC. I was so sure, I'll have some time for my blog while visiting our good friends in US, but I didn't. It was very fun though and felt like one of the best Christmas holidays we ever had. Lot's of carolling, laughs and sweet treats... And speaking of sweet treats, here the theme of the new Challenge #87 - "A GINGERBREAD CHRISTMAS". I didn't make cards this time, as I wanted to make something special to give to our friends. I made Christmas Ornament using adorable Robyn's Fetish Stamp Gingerbread Baby. Join us in the challenge and you will have a chance to win 1 image of your choice or 2 images if you use a ROBYN'S FETISH image. 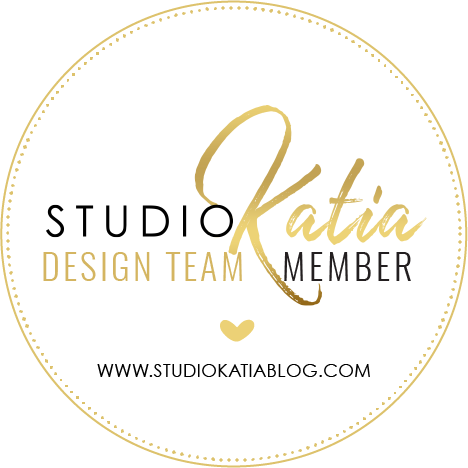 Don't forget to check out fabulous projects of our amazing team!! 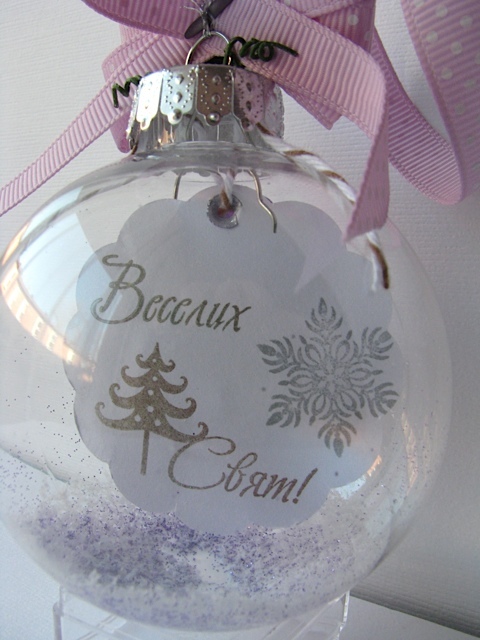 Since this gift was for our Ukrainian friends, I used Ukrainian Happy Holidays stamp on the reverse. На зворотній стороні я використала штамп від улюбленої Штампувальні. Сніжинку та напис. And here's the image before it became an ornament. ;) Very cute!! I added glitter not to flowers only, but on the white circle around the stamp. Thank you for your fabulous comments!! Дякую, що заходите до мене та коментуєте! Завжди рада вас тут бачити!! 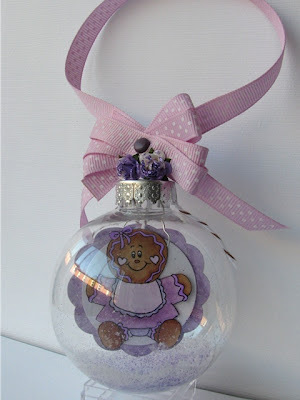 Beautiful ornament and a great idea for a gift! Nice color choice for this, too. Така прикраса -то є Щось!!! Повітряність, прозорість, святковість - дуже-дуже гарно!!! Красота!!! Очень понравилось украшение. Супер! какая красота, а как все в шарик поместить, я что-то не пойму??? What a original and beautiful project ! I like it ! Nice caracter ! Magnificent coulours ! It 's very successful ! Bravo ! Oh My Goodness what a Beautiful Christmas Ornament!!!! 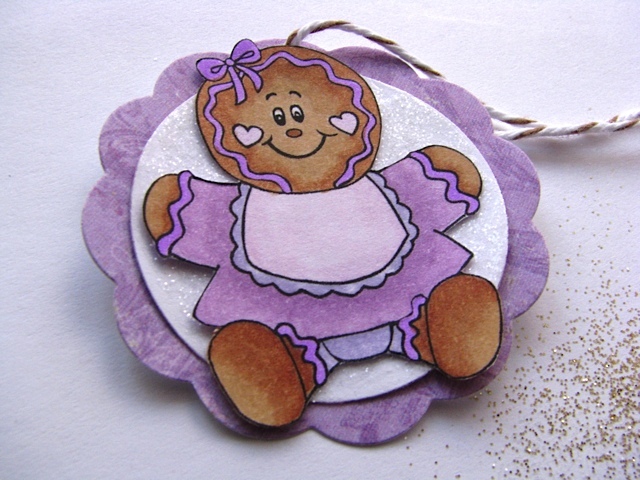 Love the adorable gingerbread man image. Such a beautiful project. Thanks for joining us at Poodles Parlour and Good Luck. Hope to see you joining us again. 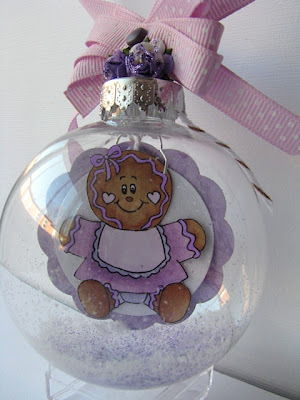 Love your ornament, so amazing! Thanks for sharing your lovely work with us at Secret Crafter Saturday Challenge this week.